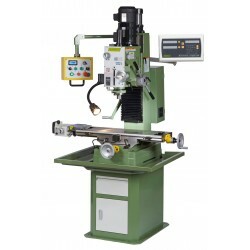 The Warco range of milling machines for sale. 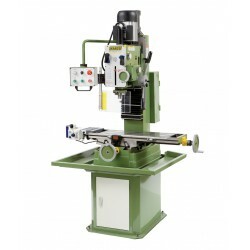 Each machine is fully guaranteed and offers unrivalled quality. 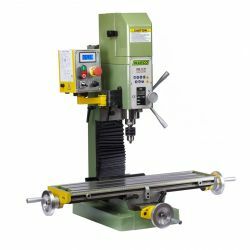 We've been supplying milling machines to model engineers, industry and education for decades now. 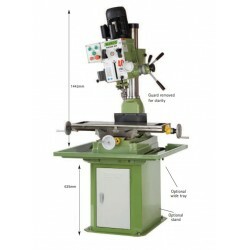 Whether it's a large or small milling machine you're after, we have it covered. 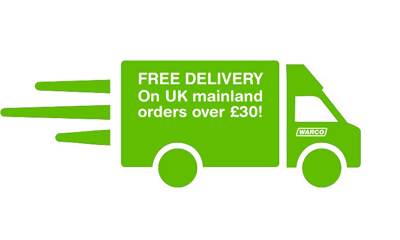 Buy securely online, or feel free to call us on 01428 682929. 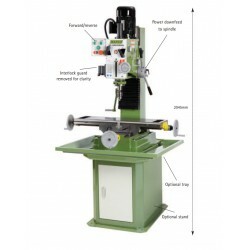 Now with a longer table for even more work space. 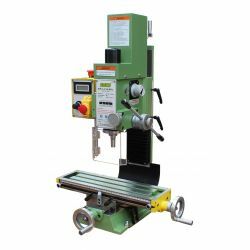 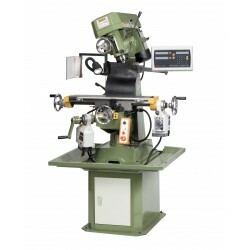 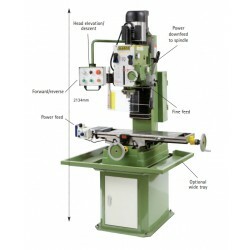 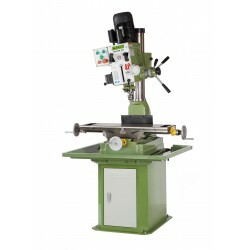 Superb quality comes as standard on this compact variable speed metalworking mill. 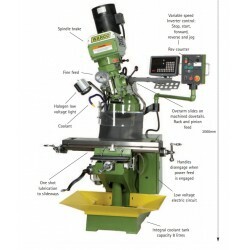 Superb quality variable speed mill, with new longer table. 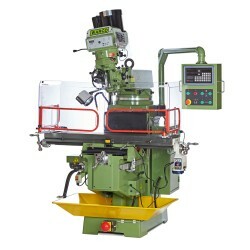 Very quiet operation, precision spindle and fine feed. 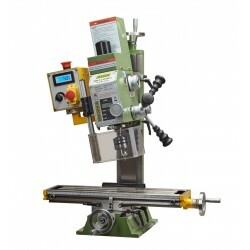 Now available with R8 spindle taper. 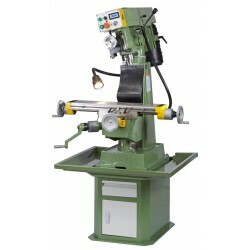 Compact size gear head mill, by popular demand. 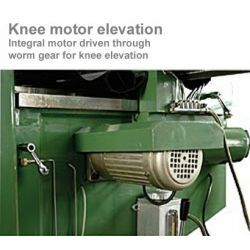 Featuring extremely robust construction, with very reliable belt drive mechanism. 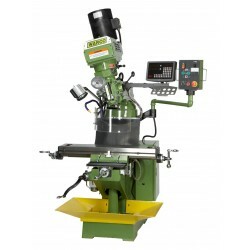 With 3 axis digital readout system fitted. 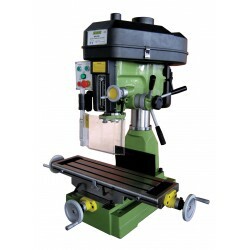 High flexibility and extremely quiet operation is assured on the Major GH with the oil immersed gear box. 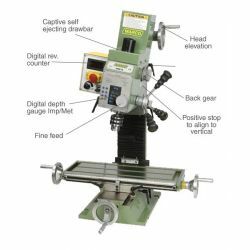 Highly accurate, low cost vertical milling machine, the VMC features outstanding precision as standard. 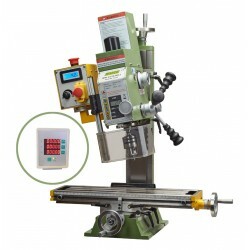 With variable speed control inverter drive system. 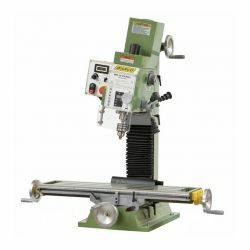 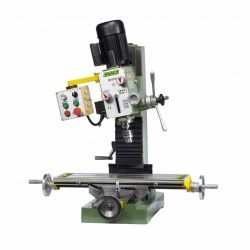 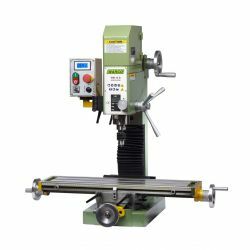 Quality mill & drilling machine, suitable for a very wide range of metalworking milling and drilling applications. 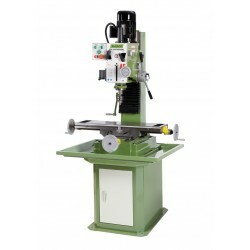 Includes stand & fitted with power cross feed. 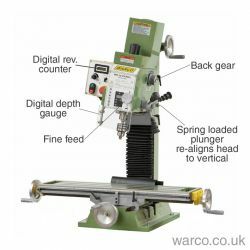 New variable speed machine, based on the Super Major - now with infinite speed control though an inverter drive and digital readout. 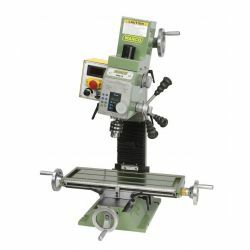 Rigid, highly accurate and precision mill of the highest calibre. 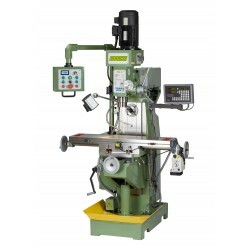 Fully equipped, fitted with 2 Axis DRO system. 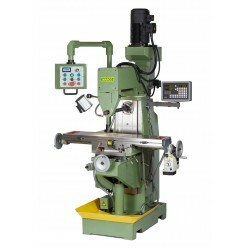 A full size industrial mill with horizontal as well as vertical milling capability. 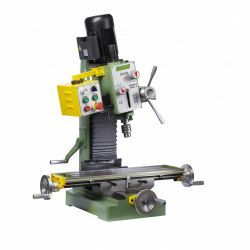 Operating from a single phase 240v supply, the HV comes fully equipped, supplied extras such including two axis DRO as standard.